Bill Schafer came on early in this July 1990 game and he showed he was good enough for the win. Coming into the game in the fourth, the Sumter Brave went four innings. He gave up four hits, but only one earned run, according to The Sumter Item. Schafer picked up the win that night, his Braves taking the game 7-1. It was one of four wins Schafer received on the year. Those four wins were also the final wins of Schafer's career. Schafer's career lasted just two seasons. He never made AA. 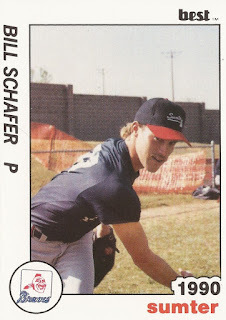 Schafer's career began in 1989, signed by the Braves as a free agent out of Kansas State University. Schafer played at Kansas State from 1987 to 1988, saving six games. He's still tied for eighth all-time in career saves at the school. With the Braves, Schafer started at rookie Pulaski. In 25 relief outings there, he had an ERA of 2.30. 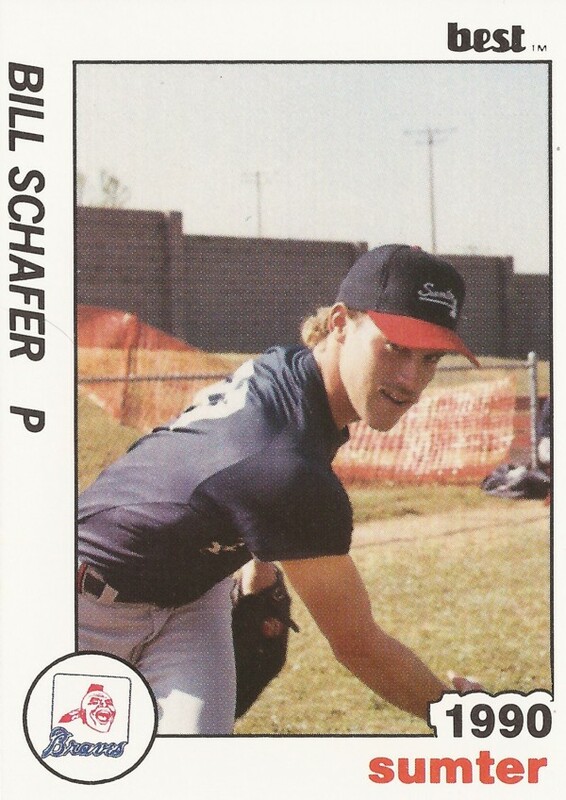 For 1990, Schafer moved to single-A Sumter. He picked up two outs to finish out an inning in an April game. In June, he went 2.2 innings of hitless ball. Overall, he went 4-6 in 39 relief outings for Sumter that year, posting a 3.09 ERA. It was his final season as a pro.